The holidays are a perfect time to throw a cocktail party whether you're hosting friends and neighbors in your home or celebrating with co-workers or clients. With careful planning a preparation, your party will be a huge success, and it won't add extra stress to your busy holiday season. For best results, start planning your party at least six weeks ahead of time. That gives you plenty of time to work out the details, and it allows guests to plan the event into their holiday schedules. Use the following guide to help you get started. Choose a date that isn't too close to any of the major holidays when guests may be out of town. However, you still want to make sure the event happens sometime in December or early January. Ideally, it's best to hold your event on a Friday or Saturday evening, since most guests won't have to head to work the next morning. However, if things get really tight schedule-wise, you could choose a Thursday or Sunday. Since you'll serve hors d'ourves but not a meal, plan the event for after dinner; 7:30 or 8:00 are good starting times. Plan to have your party last for a couple of hours. Deciding who to invite to your party may be relatively simple if you're hosting a work event. In that case, be sure to include everyone in your department or group, so no one feels left out. If you're having a cocktail party for friends, then the guest list may be a little more flexible. The size of your home or the location may dictate the number of people you can invite. According to Epicurious, you can expect about 60 percent of your guest list to attend. 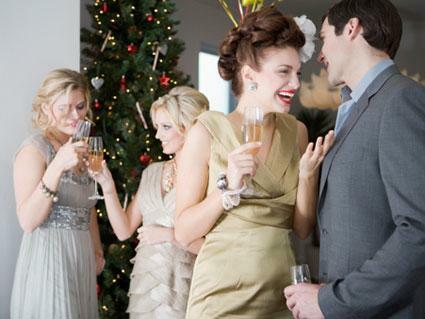 For holiday work parties, your office may be comfortable hosting the event on site. However, many businesses have concerns about alcohol at work-related events. In that case, choose a restaurant or hotel conference center close to your work. That way, everyone can attend easily. Personal parties give you more flexibility when it comes to the location. You could host the party at your home if you have enough space for the guests you want to invite and feel comfortable preparing food and drinks. Alternatively, you can use a local restaurant or hotel and have the business take care of beverages and hors d'oeurves. Gift exchange - Guests can exchange gifts as part of your event. This is great for extended families, work events, or neighborhood parties. 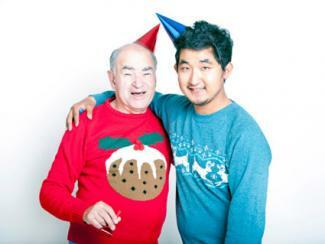 Ugly sweater party - Ugly Christmas sweaters can be hilarious holiday cocktail party attire. Just be sure to explain the theme to your guests. Cookie exchange - Have each guest bring cookies to exchange at the party. You can offer cute containers for guests to fill with cookies. You'll need to get invitations out as soon as you know the details of your event, since this is a season when schedules fill up quickly. Be sure to include the date, time, and location of your event, as well as any other important information like a gift exchange or requested attire. Double-check your invitation wording to make sure the details are clear. Tiny Prints - Find everything from trendy chalkboard-style invitations to classic and elegant choices at Tiny Prints. There are also specific themes like ugly Christmas sweater parties and cookie exchanges. Most designs retail for about $25 per 10 cards. Minted - Offering invitations by independent designers, this is a great place to find a sophisticated option. There are lots of invitations with foil decorations and modern motifs. Most options sell for about $2.50 per card. Paper Style - This is a great place to look for playful and colorful designs. Many are Christmas-themed but you'll also see general holiday options. Many designs sell for about $27 for 10 cards. Since you're having a cocktail party, you'll need to include beer, wine, and mixed drinks on the menu. The food and drink section of the Cocktail Party Guide from Epicurious recommends planning two drinks per guest for the first hour and one drink per guest per hour after that. Eggnog - This traditional holiday drink doesn't have to come from a carton. Make up a big batch of alcoholic eggnog to serve to guests at your party. Consider adding a non-alcoholic option if you know some of the guests won't be drinking. Hot buttered rum - On a chilly winter night, nothing tastes better than this traditional holiday cocktail made from sugar, butter, and other tasty ingredients. Other alcoholic and non-alcoholic hot holiday drinks are good too, including hot chocolate and mulled wine. Candy cane martini - One of many delicious holiday cocktails you can serve, this delicious option includes vodka, peppermint schnapps, and crushed peppermint candies. Make sure you have at least a couple of kinds of beer and red and white wine for guests who don't enjoy mixed drinks. It's thoughtful to include an array of soda options for those who don't drink as well. Don't forget to pick up plenty of ice. For parties hosted at restaurants and hotels, you'll have limited control over the menu. However, if you're taking care of the food yourself, you can go crazy with fun and simple-to-make hors d'oeurves your guests will love. Plan for each guest to have about five or six different options and expect each gues to sample a couple of each type of food. Shrimp cocktail - Serve individual shrimp cocktails in shot glasses so guests can easily grab one without having to manage a plate. Add a holiday flair by garnishing the red cocktail sauce with a bit of avocado. Cranberry and turkey pinwheels - Call to mind a traditional holiday meal by serving this tasty cranberry recipe. Because you use refrigerated dough, these are easy to whip up. Caprese salad - Bring in a bit of red and green with individual Caprese salad skewers and other Christmas appetizers. You can make the skewers ahead of time to minimize your work on the day of the party. Stuffed mushroom caps - The perfect one-bite appetizer for any cocktail party, stuffed mushroom caps are easy to prepare ahead of time. Add a pimento-stuffed green olive slice to the top of each mushroom for a festive flair. 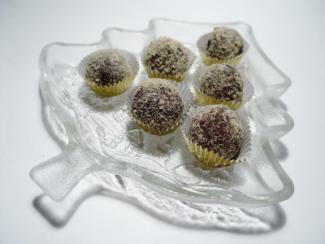 Holiday truffles - It's the holidays, so you'll need to have a few tasty dessert options too. Truffles are a great choice because they are easy to eat while mingling. Holiday cookies - No holiday party is complete without cookies! Whether you are doing a cookie exchange or simply want something tasty for guests to nibble on as they chat, have a few varieties on hand. Chocolate tuxedo strawberries - With their red and green colors and fancy appearance, chocolate tuxedo strawberries are the perfect holiday cocktail party finger food. They're also easy to make early in the day. Snowflakes - For a non-specific holiday party, choose a snowflake decorating theme. Hang up sparkling decorations, such as the jumbo iridescent snowflakes from Oriental Trading. Add Amazon's snowflake chain garland to create some major impact. Red and green - Red and green are ideal holiday decorating colors. Hang a fringed curtain from Oriental Trading and red, white, and green paper lanterns from PartyCheap. Use table linens in the same color theme. Evergreen - Contact your local florist or nursery to get evergreen garlands. Wrap them around railing and fireplace mantels to give your home an elegant and festive look. Gold and silver - Another non-specific decorating option is a simple gold and silver theme. Use lots of metallic candle holders, available at any craft store. Add in gold and silver hanging fans from Oriental Trading. Christmas - If you want to give your holiday party a Christmas theme, there are all kinds of wonderful Christmas decorations you can make and buy. Consider wreaths, Christmas trees, and lots of lights. Chairs - While most people stand and mingle at a cocktail party, it's important to have chairs available for those who want to sit and chat. You can place chairs in conversation groups near the perimeter of the room. If you don't have enough chairs for your event, contact a local party supply store about renting additional seating. 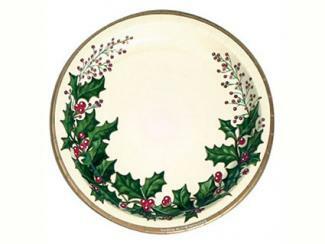 Dishes - If you're having an informal event, you can pick up paper plates, cups, and napkins at any party store. Simply choose options that match your decorating scheme. If you want a more formal look, rent dishes, glasses, and table linens from a local vendor. Buffet table - While you don't need dinner tables for a cocktail party, you do need a place to put the food. You can use a counter or existing table or rent a buffet table for the event. Serving items - If you'll be having hot food, you'll need chafing dishes. For hot drinks, you may need insulated beverage containers. Depending on the menu, there may be additional specialized serving items you need. You can rent these items at party supply stores. Background music helps people socialize, filling what might be awkward silences with festive tunes. Depending on the type of party you're having, you may want to set up a stereo with a playlist of Christmas music or secular holiday songs. If you prefer to stay away from anything overtly Christmas-related, you could also choose some great jazz tunes or other nice background music. Alternatively, you could hire a local band or single musician if your budget allows. Talk to professors at the local college to get recommendations for an affordable musician or group. Consider hiring help for the bar. You could hire a student (over age 18, of course) to mix and serve drinks, giving you more time to keep the rest of the party running smoothly. If you don't hire help for the bar, mix up any cocktails ahead of time in large batches and allow guests to serve themselves. That way, you won't need to spend time mixing drinks during the party. Plan a place for guests to leave coats and boots. Winter comes with lots of outerwear, and it can quickly clutter up the entrance to your home or party venue. An empty coat closet or spare bedroom works well at home, or you can rent a rolling coat rack from a party rental store. To take the stress out of hosting, consider enlisting help from others. Guests can bring a dish to pass or lend you their extra dishes. For a work party, co-workers can form a committee to handle all the planning tasks. Give yourself plenty of time. Make sure you start your preparations at least a month to six weeks ahead of time. 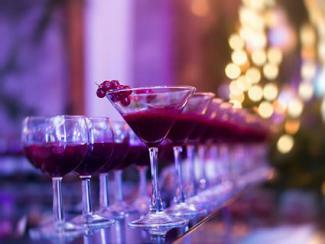 Planning a holiday party doesn't have to add to the stress of the season. With a little preparation, your guests will have a wonderful time, and so will you.